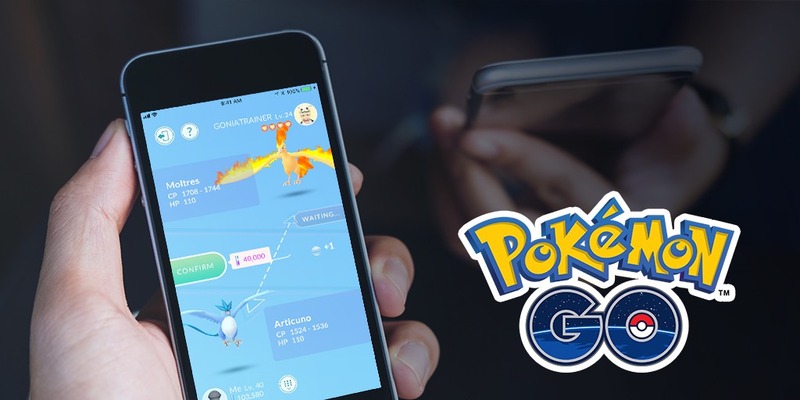 Niantic has announced that Pokémon GO players will be able to connect with their friends in the location-based game later this week, letting you keep track of their adventures. To add a friend you must first swap your Trainer Code with them, that, once accepted, will soon reward you with in-game benefits. There’s a chance that when you spin a Photo Disc at a PokéStop or Gym that you will receive a gift that you can send to a friend, that may contain items or an Egg that will hatch an Alolan form Pokémon. If you play together, you will also be able to build your Friendship Level that, for example, in a Gym battle or Raid Battle will earn you both an Attack bonus. This Friendship Level can also be raised by trading with friends, although trading is limited to those that have reached Trainer Level 10 or higher. You will earn bonus Candy for the Pokémon that you have traded away, and you can increase that bonus if whichever pocket monster you both have traded were caught in locations far away from one another. Trading will require Stardust, with the amount varying depending on the Pokémon. However, if you want to trade a Legendary Pokémon, Shiny Pokémon, or for a Pokémon not in your Pokédex, you will have to perform a Special Trade – which is limited to one per day. “We’re excited to share brand-new ways to interact with your friends in Pokémon GO! The Friends feature will start rolling out to Trainers later this week, allowing you to connect with your real-life friends and keep track of their adventures in Pokémon GO. You’ll be able to send them items, earn bonuses—and even trade Pokémon!” Niantic explained in a blog post. “In order to add a friend in Pokémon GO, you must first ask them to share their Trainer Code with you. To invite a Trainer to become your friend, simply enter their Trainer Code and then send them a request. If they accept, you’ll become friends, and you’ll see them in your Friends List. “When you spin a Photo Disc at a PokéStop or Gym, you have a chance of receiving a special Gift. Although you can’t open the Gifts you receive from PokéStops, you can send them to a friend on your Friend List. Inside the Gift will be a stash of helpful items, which your friend will receive along with a postcard showing where you picked up your Gift. Gifts can also include a special surprise: an Egg that, when hatched, will contain an Alolan form of a Pokémon originally discovered in the Kanto region! “When you send a Gift to a friend or participate in a raid or Gym battle with them, you can increase your Friendship Level. As your Friendship Level builds, you’ll then unlock bonuses when you play together. For example, when you and a Great Friend participate in a Gym battle or Raid Battle together, you can earn an Attack bonus to give your Pokémon an edge! You can increase your Friendship Level once per day per friend. “You can also build your Friendship Level by trading Pokémon with a friend. If you’re near a friend and have a Trainer Level of 10 or higher, you can trade Pokémon you’ve caught with that friend. Completing a trade earns a bonus Candy for the Pokémon you’ve traded away, and that bonus can increase if the Pokémon you traded were caught in locations far apart from each other! All trades are powered by Stardust, and some trades require more Stardust than others. As you build your Friendship Level with the friend you are trading with, you’ll find that you can complete the trade with much less Stardust.